In order to create interest among students in the fields of programming, technology, robotics etc various competitions are organsied. There is no participation fees so it does not cost you financially to take part. Following are among some of them. National Best Quality ICT Awards (NBQSA formerly National Best Quality Software Awards) organised by the BCS the Chartered Institute for IT – Sri Lanka section is held annually for Tertiarary Student Projects since 2003. This Award is presented to the most innovative ICT software and/or hardware project from students of Institutions of Higher Learning. Any ICT project that is conducted by a student or a group of students who are formally enrolled in an institution of higher-learning, such as college or university, excluding Master and Doctorate programs can take part at NBQSA. Evaluation is conducted in stages, where first round is usually held at the applicant’s university and the final round held centrally, mostly at UCSC. Top three student projects are recognised as Gold, Silver and Bronze and are nominated and funded partially or fully to take part at APICTA (Asia Pacific ICT Awards). Most of the final round applicants receive awards (i.e. at least Merit Award). Following are past winners from University of Colombo. 2006 Tertiary: Nuwan Senaratna, “Automatic Music Composition using a Tree of Emergeul System”. 2013 Tertiary (Business): Roshan Rajapakse, A.K. Madugalla, P.I.U. Amarasinghe & V.H. Padmathilake, “FaceID: A Facial Muscle Anatomy Based Solution For Forensic Facial Reconstruction in Sri Lanka”. 2008 Tertiary: M.R.A.P.P Wijesekara, “COMONet: Community mobile network”. 2012 Tertiary: Dinuni Fernando, Chandima Fernando, C. Pankajan, Sahan Udana, Dilini Asanga, Samitha Udalagama, Lumini Sahabandu and Lasantha Samarakoon, “TrafficMate”. 2003 Tertiary: Ms. Jayani P. Karunaratne, “Open Source text-to-speech for Sinhala”. 2004 Tertiary: Prabath Gunawardane, “Semi Immersive Virtual Environment”. 2006 Tertiary: Ms. Seshika Fernando, “Trusted Cheque Protocol”. 2008 Tertiary: Ms. T. Priyadharshani, “Web media agent”. 2013 Tertiary (Technology):Â Y.M Kalindu Priyadarshana, “Sensing Environment Through Mobile : A Personalized Wearable Obstacle Detection System for Visually Impaired”. 2003 Tertiary:Â Sanjika Hewavitharana, “Sinhala Handwriting Recognition”. 2003 Tertiary:Â Anura Indika Athukorala, “Â Tiny Internet Interface (TINI) – Electricity Power Monitoring System”. 2003 Tertiary:Â W.G.Dulan M. Wathugala, “Sinhala Finger Spelling Interpretation – Talking Hands”. 2003 Tertiary:Â D. Navinda D. Kottege, “Virtual Robot Arm Control Model”, Physics & BIT. 2004 Tertiary:Â Umesha Lakmal Perera, “Sinhala Text to Sign Language Translator”. 2004 Tertiary:Â Tyronne Silva, “Speaker Search for Multimedia Data Objects”. 2004 Tertiary:Â Prabhath Deepal Hasantha Attidiya, “Student Registration & Examination”- Post Graduate. 2005 Tertiary:Â Deva Prabha Siri Kularathna, “A Mobile ECG Monitoring System”. 2005 Tertiary:Â S. Sivaparan, “An SMS Email Reader”. 2006 Tertiary:Â Isuruwan Herath, “Fuzzy Rule Based Intelligent Traffic Control System”. 2007 Tertiary:Â V. Anushan,Â “Distributed Network Address Translation”. 2010 Tertiary:Â Kasun Tharaka,Â “Nivarana -Transforming Information to action in Communicable Disease Surveillance”. 2012 Tertiary:Â R.M. Gihan B. Wijerathne,Â “OWPS – Open Wave Propagation Simulator”. 2011 Tertiary: H P D Jayathilaka, N Kularathne and E A D I Embuldeniya, “Business Cloud for SMEs”. The Asia Pacific ICT Awards (APICTA) provide networking and product benchmarking opportunities to ICT innovators and entrepreneurs in the region. The program is designed to stimulate ICT innovation and creativity, promote economic and trade relations, facilitate technology transfer, and offer business matching opportunities via exposure to venture capitalists and investors. APICTA is hosted by one of the member countries. APICTA recognise the Winner of each category. Merit awards are sometimes awarded. Sri Lanka has participated in APCITA since 2003. First APICTA was held in 2001. Winners of NBQSA are nominated to participate at APICTA. Following are past winners/participants fromÂ University of Colombo. 2006 Nuwan Senaratna, “Automatic Music Composition using a Tree of Emergeul System”, held in Macau. 2008 M.R.A.P.P Wijesekara, “COMONet: Community mobile network”, held in Jakarta Indonesia. 2010 Vidusayura an e-Learning product by Staff of the UCSC, held in Malaysia. 2013 Y.M Kalindu Priyadarshana, “Sensing Environment Through Mobile : A Personalized Wearable Obstacle Detection System for Visually Impaired” held in Hong Kong. Imagine Cup is an annual competition sponsored and hosted by Microsoft Corp. which brings together young technologists worldwide to help resolve some of the world’s toughest challenges. Imagine Cup has several categories, such as Software Design, Embedded Development, Web Development, Project Hoshimi, IT Challenge, Algorithm, Photography, Short Film, Interface Design. Â Winner of the local country event participate at the international event. 2013 local event finals will be held at UCSC. Following are past participants from University of Colombo. 2014 Buddhi Senarathne, Manidu Wijewickrama, Praveen Samarakone and Sandaruwan Gunasinghe: Fat and Thin Studios “Bird Academy”. 2010 Gayan Garusinghe, Sudam Liyanage, Chanaka Upendra and Hasini Adhikari. 2007 Jayanath Galahitigama, Tharaka Jayasekara, Ishara Perera and Isura Sandaruwan. 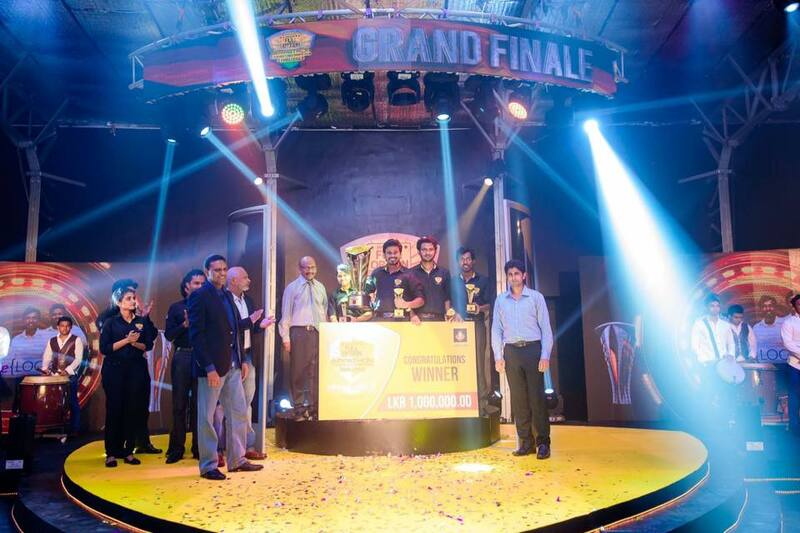 2014 Yasith Kanchana Lokuge (Team Leader), Prashan Madumal, Tharindu Kumara, Deshan Ranasinghe: Techsurge “Navisys”. IEEEXtreme is a global challenge in which teams of IEEE student members â€“ supported by an IEEE Student Branch, advised and proctored by an IEEE member â€“ compete in a 24-hour time span against each other to solve a set of programming problems. UCSC students first took part at this competition in 2011 (IEEEXtreme 5.0). It was a learning process for them where the top team was placed 39th in the country, 77 in the R10 region and 216 world wide. All together 13 teams competed part from UCSC. Subsequent years we saw increased interest among the students. 2014 (IEEEXtreme 8.0) saw 2,250 teams worldwide from 71 countries. 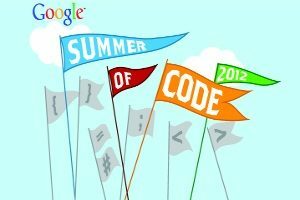 Google Summer of Code is a global program that offers post-secondary student developers ages 18 and older stipends to write code for various open source software projects. We have worked with open source, free software, and technology-related groups to identify and fund projects over a three month period. 2011 was the first instance of participation. One student successully completed the 2012 event. Two students, namely: Milindu Sanoj Kumarage (2nd Year) and P. A. Ayantha Randika (2nd Year) successfully completed the GSoC 2014. The e-Swabhimani is an initiative of the Information Communication technology agency of Sri Lanka aimed at recognizing excellence in digital content creation. It is expected that this national award would stimulate a greater interest in the development of a wide range of content and services that would serve the needs of society. The e-Swabhimani was launched in 2009. The e-Swabhimani Award process is being conducted along the lines of the World Summit Award and has input from the Digital Empowerment Foundation if India as the Knowledge Partner to ensure that the jury process conforms to international standards. The award is a stepping stone to other regional and international awards with all short listed submissions being nominated to the Manthan Award South Asia. 2010 e-Health category: produced by 4th year ICTÂ studentÂ Asanga Wickramasinghe together with the Epidemiology Unit of the Ministry of Health, Sri Lankain under the supervision of Dr. Risintha Premaratne, Consultant Epidemiologist of the Epidemiology Unit, Ministry of Health & Dr. Shiromi Arunatilake. 2010 e-Inclusion category: Project by Staff of theÂ Language Technology Research Laboratory of the UCSC. 2012Â e-Science and Technology category: Facial Muscle Anatomy based approach for Forensic Facial Reconstruction in Sri Lanka a standardalone system in English produced by 4th year ICT students of the UCSC, namely: Roshan Rajapakse, A.K. Madugalla, P.I.U. Amarasinghe & V.H. Padmathilake together with the Department of Forensic Medicine, University of Sri Jayewardenepura under the supervision of Dr. A.T. Dharmaratne &Â Mr. K.D. Sandaruwan. 2012 e-Science and Technology category: Field Artillery Simulation System (FASS) a standardalone system in EnglishÂ produced by Staff together with the Centre for Research and Development, Ministry of Defense, School of Artillery. 2014 e-Inclusion and Participation category for Swaraloka produced by 4th year ICT students of the UCSC, namely: Shyama Chandani, Dawpadee Kiriella, Kavindu Ranasinghe under the supervision of Dr. K.L. Jayaratne. 2016 UCSC Won three awards in three categories e Content, Inclusion & Empowerment and e Culture & Tourismat e-Swabhimani Awards 2016 organized by the ICTA on 31st October 2016. 2010 e-learning and Education category: Shikshaka project by the staff of the Language Technology Research Laboratory of the UCSC. 2014 e-Government and institutions category for Title Registration System produced by Software Deveopment Unit of the UCSC. 2010 e-learning and Education category: VLE Open Learning project by the staff of the e-Learning Centre. 2012 eLearning and Education category:Â ICT based Education for students with Special Educational needs an offline system in Sinhala produced by 4th year ICT students of the UCSC, namely: M.D. Nadira Tharanga Perera, T.G. Induni Shamika, Dilrukshi WijeratneÂ and D.P. Manori Madhubhashini Wijesooriya under the supervision of Dr. A.T. Dharmaratne & Dr. A.R. Weerasinghe. 2012 e-Entertainment and Games category: Saasthara aÂ Facebook appsÂ in Sinhala produced by 2nd year students of the UCSC, namely: K.H. Madusha Kumarasiri & S.M.D.R. Subasinghe. The Manthan Awards are granted for projects that aim at raising the standard of life of people,especially the rural masses by the use of Information and Communication Technology. The Award is an initiative of the Digital Empowerment Foundation with strategic support from the Department of Information Technology, Government of India and the World Summit Award Austria. With effect from 2008 the Manthan Award was extended to other countries in the region and is now the Manthan Award South Asia. The Award recognizes the best e-Content for Development and this year applications were invited from e-Content innovators, practitioners and creators across South Asian Countries. Individual participants, organizations as well as individuals seconding nominations for grassroots practitioners from countries in the region were also invited to apply. The requirement was that they be engaged in pioneering work in developing, creating and disseminating digital content, be it online or offline, for grassroots empowerment and development in daily life.The theme of this yearâ€™s Manthan Awards was the use of electronic media content for Development in South East Asia. This year greater emphasis was laid on projects that apply information communication technology to raise the standard of life rural people. Sri Lanka participants are nominated by the ICT Agency of Sri Lanka (ICTA) from among the e-Swabhimani winners. 2010 e-Culture & Heritage category:Â Shikshaka: A Framework for Bridging the Language GapÂ Â produced by theÂ staffÂ of the Language Technology Research Laboratory of the UCSC. The mBillionth Award is a dedicated platform to explore the latent potential of mobile & telecom sector across 8 countries in South Asia. The World Summit Award (WSA) is a global activity to select and promote the world’s best e-Content and most innovative ICT applications. It offers a worldwide platform for all who value the creative use of ICTs and who are committed to making todayâ€™s information society more inclusive. The World Summit Award Mobile first took placed in 2010 to honour excellence in m-Content and innovative application creation. The Grand Jury selects 40 winnersÂ of the eight WSA-mobile categories. WSA was started as an initiative by the Republic of Austria as a contribution to the United Nations World Summit on Information Society (WSIS) Â and is Â organised by the International Center for New Media (ICNM) in Salzburg. 2012 e-Media & News category TrafficMate.Â The WSA-mobileÂ WinnersÂ´Events 2012, Feb 3rd â€“ Feb 5thÂ 2013, Abu Dhabi. This competition is held since in 2010 and is organized by SLASSCOM and Motorola Solutions. It involves training programmes conducted by the staff of the Motorola Solutions and runs over a period of 6-7 months. Competition focus on building human resource capacity in Mobile Technologies; develop entrepreneurial skills; and promote innovation among students by exposing their innovative and creative skills. The Hackathon competition is held over 1-2 days where students develop a piece of working software using technologies. This competition was introduced in 2012 for undergraduates studying at all the state universities and Advanced Technological Institutes which are under the purview of Ministry of Higher Education. It promotes creative artistic talents by giving opportunities for the educated generation to develop, present and display their numerous artistic talents. 2013 – Silver Award won by P. A. Ayantha Randika, Milindu Sanoj Kumarage, L. A. R. H. Perera, Anuradha Edirisuriya and K. K. T. P. Ranathung for LocTip. 2014 – Gold Award won by Praneeth Nilanga Peiris, Madura Anushanga Shelton, Harindu Perera and Shanika Udeshini for Falcon. 2017 – Bronze Award (Tertiary category) of SLIIT-CODEFEST “Net Com” Padcet Tracer Contest won by UCSC students (especially 4th year). 2017 – NSF Technology Award of Excellence was won by the project “COPY Sayura : The three dimensional coastal surveillance system” on 31-January-2017. The Members were Prof. N.D.Kodikara (Grant Coordinator), Prof. S.R.D. Rosa, Dr. Chamath Keppetiyagama, Dr. K.D. Sandaruwan and Rear Admiral K.R. Senadeera (Rtd). 2018 – “Face ID: Computer Based Forensic Facial Recognition using 3D Graphics” project conducted by UCSC won “Technology Award of Excellence” awarded by National Science Foundation under the “Support for Technology Development” grant Scheme on 25th of July 2018. The Members were Dr. A.T.Darmaratne, Dr. K.D. Sandaruwan, Dr. D.D. Karunaratne, and Prof. M. Vidanapathirana from the University of Sri Jayawardanapura. 2018 – Two research projects were able to achieved the wining positions at Commonwealth digital award (USA). One project was supervised by Dr. Thushani Weerasinghe and the other one was supervised by Dr. K. L. Jayarathne and Dr. M. I. E. Wickramasignhe . They have won the positions of the 1st runner up and the 1st place in the competition of Common wealth digital award in 2018 respectively.